Dr. Drutman has used his years of clinical and forensic practice as a psychologist to write a partially satirical book to help parents learn how to minimize the negative impact of divorce on their children. 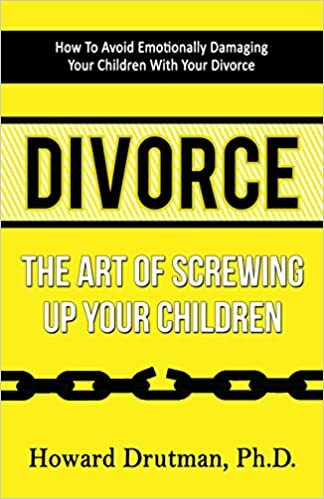 “Divorce: The Art of Screwing Up Your Children” is a delightful tongue-in-cheek reprimand to parents who lose sight of their children’s welfare while waging war with an ex. But it is more than that. In addition to learning how to screw up your kids, Dr. Drutman shows parents how to do things right. For parents who seem blind to the harm they inflict on their children, this book delivers a needed blast of awareness with enough humor to help the medicine go down. Howard Ph.D., a psychologist in suburban Atlanta with years of practice in clinical and forensic psychology. Dr. Drutman centers his forensic practice in family law cases.